Our client owned this site and saw the potential for a small residential development. 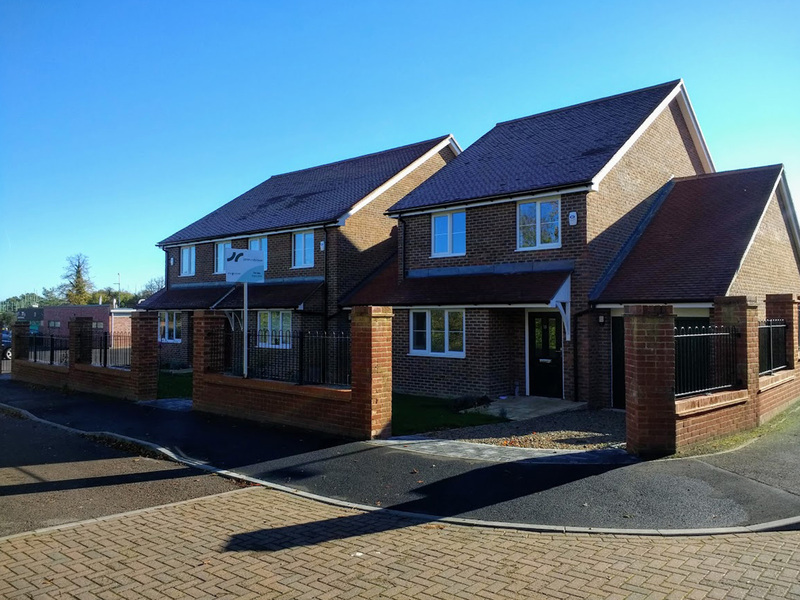 Working together we designed a pair of semi-detached houses with a third linked-detached house. Despite adopting a size and style sympathetic to the neighbourhood there was local opposition which we overcome by making a presentation to the planning committee. Planning Consent was granted and then we cleared the planning conditions. Later we arranged signing of the contract documents and then carried out the functions of the contract administrator. We regularly inspected the work to ensure compliance with the contract and that it was of good quality; we valued the work as it progressed and certified the amounts to be paid. When the work reached completion we arranged handover and agreed the contractor’s final account.